Jumbo Train releases a sweeping ballad that’s sure to have your heart singing along! creating music that is Harmonious~ Memorable~ & Meaningful. ...Sweet, guitar driven contemporary adult catchy pop and heart-felt ballads. 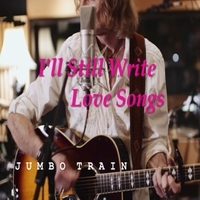 It is very clear that the musicianship throughout “I’ll Still Write Love Songs” is tasteful, never over the top, allowing the song to breathe and grow, and to rest in your soul. This is a sure sign of great artistry. There is nothing to prove, only the song itself to serve and these musicians serve this song very well. They each deserve great kudos for their subtle artistic achievements throughout. In fact, the entire production, mix and performance of “I’ll Still Write Love Songs” is flawless and as you listen you will forget that you are hearing an indiepop group and feel as though you are listening to a song that has already charted and been signed to a big label. You feel as if you've known this song your entire life.